That is what this dress does… is SHINE! And you will be shining in the spotlight where ever you go in this newest design from Wilson’s Closet. And the perfect accompaniment to this dress is your man in a fabulous suit from Wilson’s Designs for Men. The slightly sheer, form fitting bodice paired with the shimmery, floaty skirt are enough to make everyone’s head turn when you walk in the room. And your eyes will be locked on your date in his perfectly cut suit. 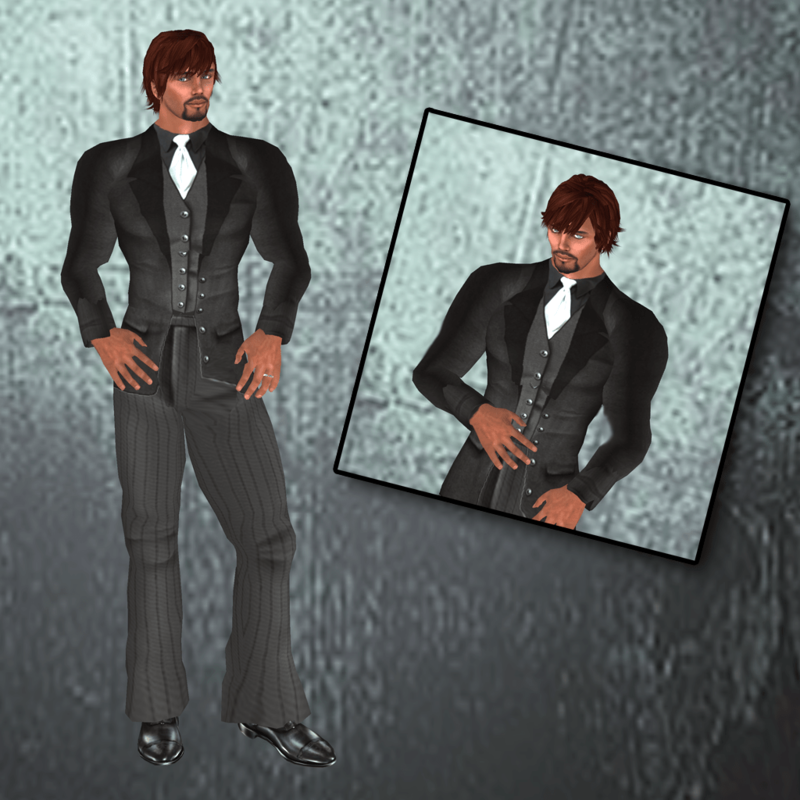 The pinstripe pants fit just right and the jacket and vest textures are luxurious. If your gentleman friend is so inclined….. all items at Wilson’s Designs and Wilson’s Closet are transfer (unless otherwise stated). This entry was posted in Guest Stylist, Second Life and tagged Belleza, Bryce Designs, Curio, Earthstones, Miel, N-Core, Poetic Colors, Redgrave, Wilson's Closet, Wilson's Designs for Men on April 26, 2011 by galacaproni.